Laundry Room Remodeling & Addition The ease and comfort of an in-house laundry room addition is becoming popular for the reason of having a convenient place to do laundry. Hauling laundry up and down stairs or across your house gets old after a while. If you need a laundry room closer to your bedrooms or you simply want a large space to fold and fluff – consider a family laundry room addition. Family laundry room additions range from a few thousand up to $6,000 or $7,000, depending on the size and complexity of what you’re looking for. Because this is a small addition compared to bedrooms and bathrooms, you can certainly find a cost-effective solution to meet your needs. Gather all of your ideas and inspiration before talking to a Remodeling company. - Do you need new appliances? Are your washer and dryer outdated? - Space and storage? Do you want a large area for dirty laundry to be stored and clean laundry to be folded? Shelves and cabinets are a must in a great laundry room addition. - Electrical and gas outlets and installation? Plumbing re-routing? - Will this laundry room addition be too loud next to bedrooms? - Choose durable flooring, this will be a high traffic area you will want a material up for the job. A laundry room addition is incredibly convenient for all members of a household. This can provide extra organization and stress free laundry. The laundry room can serve double-duty as a mudroom if located on the main level – less shoes and jackets lying around your home! This addition can be custom-designed to fit your needs, from multifunctional storage to fold-out shelving and ironing boards, you name it you can do it with this space. Depending on where the laundry room is being added and what work needs to be done to the space; this can be a costly project. Plan this addition to fit in your budget. Plan for proper venting when doing this laundry room addition. 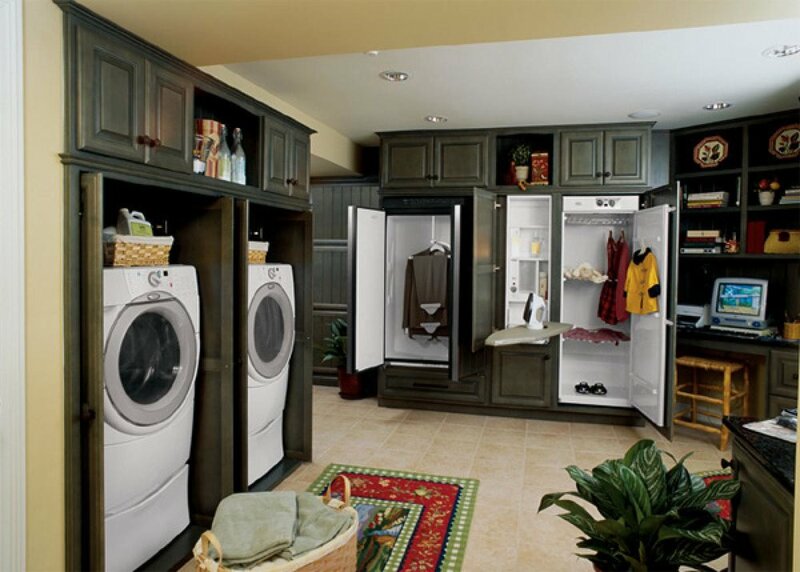 You don’t want to add heat to your surrounding rooms when you are using your new laundry room. Laundry room additions must be built with both plumbing and electrical in mind. This can get costly if you are planning a laundry room addition far from any existing plumbing lines. Consider designing a laundry room near a bathroom, there will be easy access to plumbing and electrical.